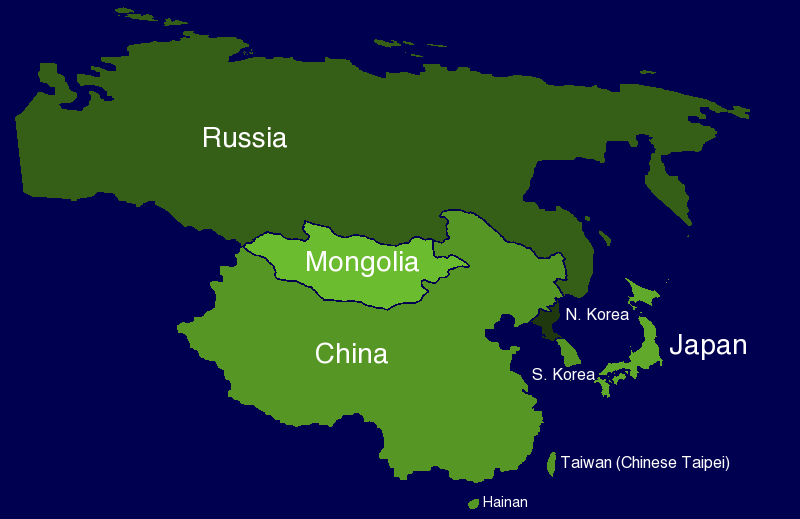 To memorize the geography of Asia and the Caucasus, let’s split this huge continent into pieces. 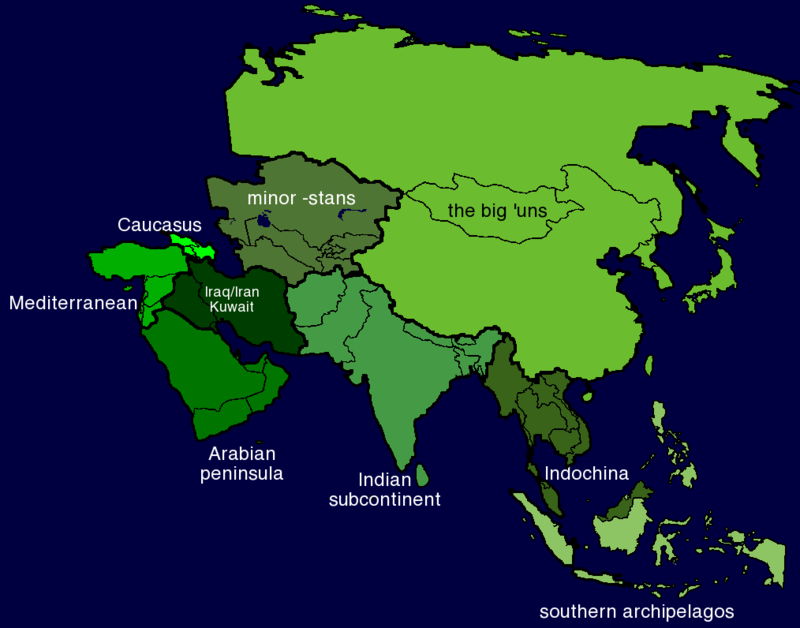 First, these segments aren’t designed to make geopolitical sense, although in many cases they do. They’re simply the best chunks for memorization, at least using my approach. Second, the close-up regions aren’t exact in terms of shape and area. That’s a by-product of using GIMP (a Photoshop alternative) on a low-quality image. Third, for simplicity’s sake, I’ve excluded border disputes, exclaves, and enclaves (more on that later). …and move from west to east (sort of, anyway). If you’re having trouble seeing any map, click on it for a version with a solid background. Park the car in the GArAze (Georgia – ARmenia – AZErbaijan, west to east). 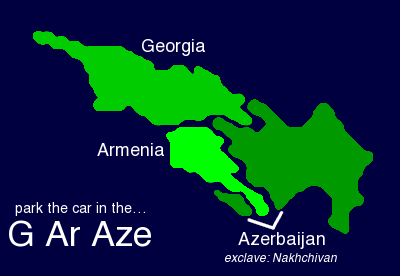 It’s here we discuss our first exclave: Nakhchivan, which is part of Azerbaijan. An exclave is a part of a country that’s separated by another country. 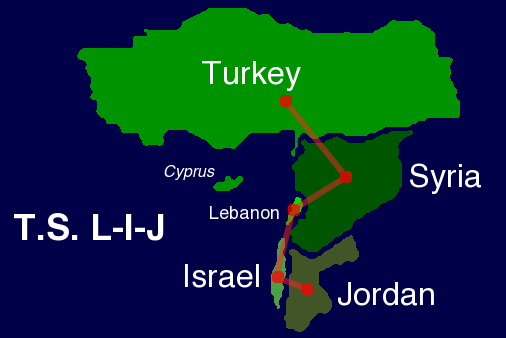 An enclave, conversely, is part of a country that’s totally surrounded by another country. West Berlin was a classic example: to get there by land, you’d have to travel through East Germany. When the end times come, this part of the world is going to be a waste land. From north to south, it’s T-S-L-I-J – almost like T.S. Eliot. Note: For some reason I originally had “leaves of grass” as a mnemonic – I hope that didn’t cost anyone a correct Final response in the February 19 game.  Saudi Arabia is the keystone of this area. 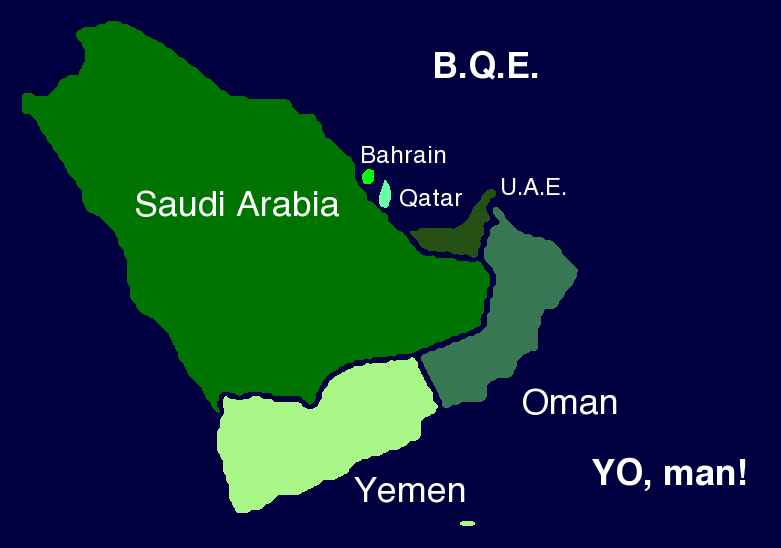 Hanging from the bottom of this… uh, phallic area are two manly countries: Yemen and Oman (YO!).  Those of you who live in New York will know about the Brooklyn-Queens Expressway, which provides the acronym for the nations along the Persian Gulf: Bahrain, Qatar, and the United Arab Emirates. Playing pool against Saddam Hussein, I racked, then I ran. 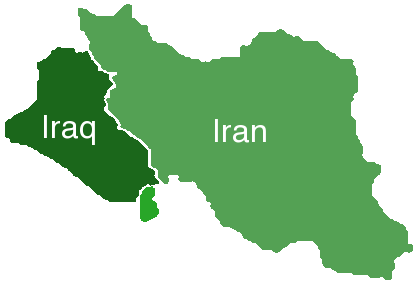 Just remember that Iraq invaded tiny Kuwait to get at its oil – as well as at the Persian Gulf. 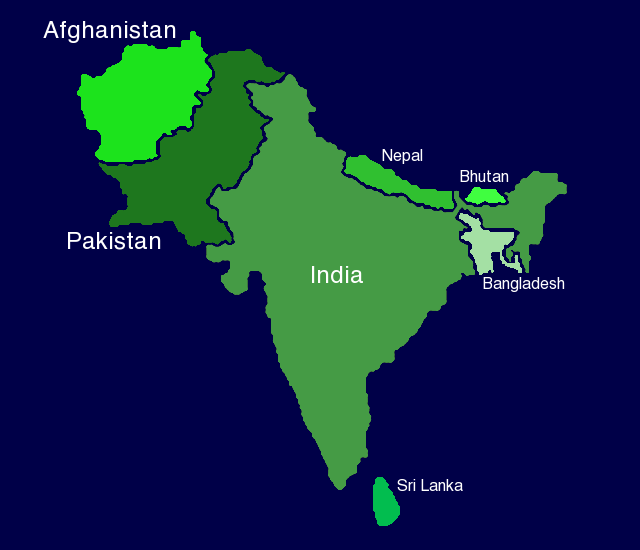 India and Pakistan are always at loggerheads, so it makes sense that they’d be next to each other. And many escapees from Afghanistan in our offensive there, including Osama bin Laden, went to neighboring Pakistan. Nepal and Bhutan are mountain kingdoms to the north of India. And Bangladesh, which has disastrous floods seemingly every monsoon season from the Bay of Bengal, is surrounded by India. It was known as East Pakistan until the Liberation War of 1971, which cost the lives of hundreds of thousands (perhaps millions, even) of Bangladeshis at the hands of [West] Pakistan.  India and Bangladesh have dozens of enclaves and exclaves, including the world’s only counter-counter-enclave – a piece of India completely surrounded by Bangladeshi territory, which is in turn is completely surrounded by Indian territory that’s surrounded by Bangladesh. Sri Lanka is that island southeast of India. To the east are another K-T combination: Kyrgyzstan and Tajikistan. So we have two T countries. To tell them apart: Turkmenistan is closer to Turkey than is Tajikistan; it also has a U, like the country right above it. You should be able to memorize this one by rote. Hainan is just a big island, not a wannabe-independent country like Taiwan. The keystone here is Thailand. It really ties this area together – without it, it would be split into two. Trader Vic’s in Hollywood used to make Mai Tais – MYanmar and THAIland, in that order. Singapore, the city-state at the southern tip of the Malay Peninsula, has the world’s nicest airport. That should help you remember that it’s next to Malaysia, which lost two airplanes (Flights 370 and 17) last year. Malaysia also has another large parcel on the island of Borneo, surrounding the Sultanate of Brunei. 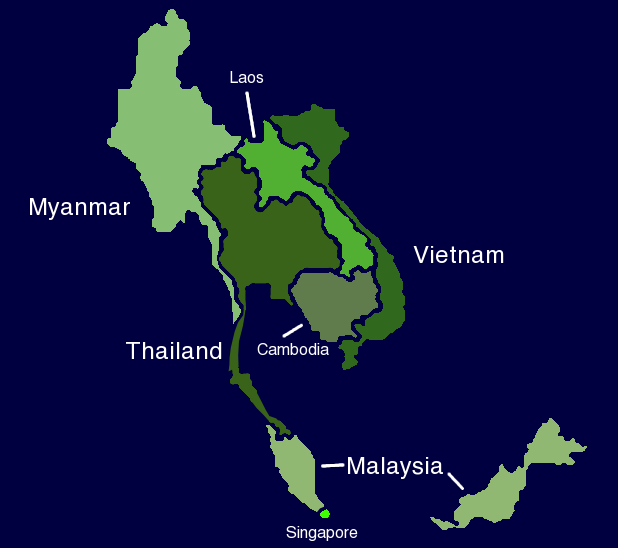 Vietnam is on the eastern edge of the area, along the water; the 1964 Tonkin Gulf Resolution cleared the way for LBJ to escalate in the 1960s.  The Viet Cong invaded neighboring Cambodia, which is not Laos, the only landlocked country in the region. Thanks, Keith! As a memory and trivia nut, I love your primers and how you focus on making it easy to remember. I really liked the “stans” key of remembering them!